Spec Script, one of Portland's top three or four podcasts about people writing spec scripts for television shows they've never seen before is coming to STAB! Comedy Theater. Spec Script is a show where someone writes an episode of a television series that they've never seen, and a panel of comics reads that new script aloud to the audience. At STAB! 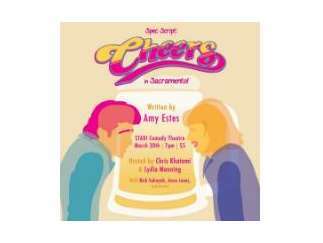 Sacramento's own Amy Estes presents an episode of "Cheers!"